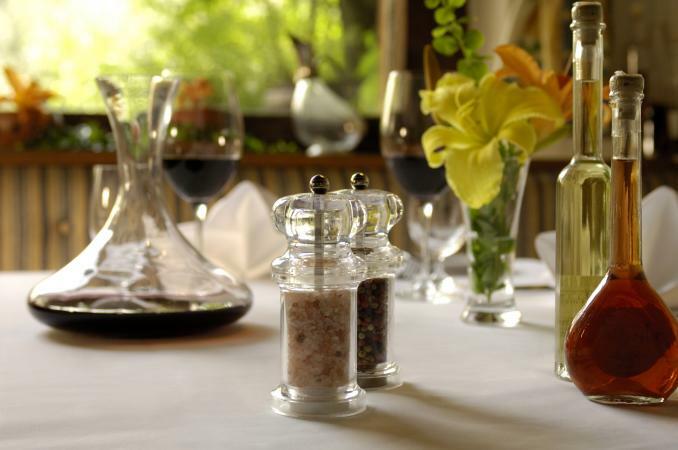 Many recipes call for wine, which adds an acidic element to many dishes and sauces. Acid adds balance to recipes, so it is often an essential element in cooking. If you prefer not to consume wine or use it in your cooking, there are many acceptable substitutes. Savory recipes often call for a dry white wine, such as Chardonnay, or a fortified wine like Sherry or Marsala, while sweet recipes sometimes call for a sweet white wine, such as Reisling. Dry white wine usually adds an acidic element to dishes, so it is easy to find substitutes. Try the following as direct 1:1 replacements for dry white wine. Lemon juice is an acceptable substitute because it is acidic as well. In general, lemon juice will leave a slightly more acidic flavor than the wine, but most people won't notice much difference in the finished result. If you'd like it a little less acidic, you can dilute the lemon juice with water at a 1:1 ratio. White wine vinegar has the flavor of wine without the alcohol although it tends to be slightly more acidic. If you like, you can dilute it at a 2:1 ratio of vinegar to water or chicken or vegetable stock, which will more closely match the acidity of wine. Champagne vinegar is similar to white wine vinegar, and it alters the flavor in a similar manner as noted above. Dilute as noted above for white wine vinegar, if desired, which will leave an acidic taste similar to wine without as much vinegar tang. Sherry vinegar is a good substitute for fortified white wines. It will be slightly more acidic than Sherry but it still has Sherry's nutty undertones, so you can dilute it at about 2:1 with chicken or vegetable stock or water to vinegar if desired. Stock (poultry or vegetable) is also a good direct substitute. It won't have the acidity of wine, so you may wish to add a squeeze of lemon juice to it to add a touch of acid. Some sweet recipes call for a sweet red wine, such as a dessert wine, ice wine, or Riesling. There aren't a ton of substitutes in sweet dishes, but juice is always a good option. White grape juice substitutes at a 1:1 ratio. Try adding about a teaspoon of vinegar or a squeeze of lemon juice to mimic the acidity found even in sweet wines. 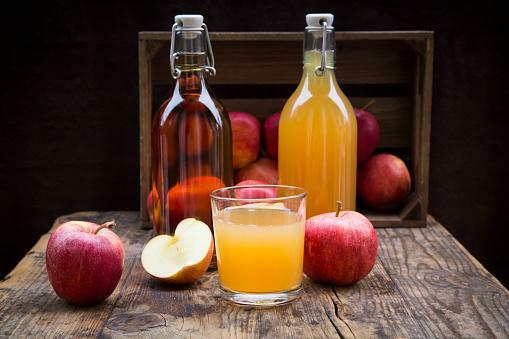 Apple juice or sparkling apple cider also substitutes at a 1:1 ratio in sweet recipes. Adding a squeeze of citrus will bring some needed acidity. Otherwise, it is a direct substitution. Like white wine, red wine adds an acid element to dishes, often those containing beef or other red meats. Most recipes call for dry red wines, like Cabernet Sauvignon. It's rare you'll find a recipe calling for a sweet red wine because there are few sweet red wines on the market. While the wine itself brings flavor and changing it for something else will alter the flavor, the recipes will still be delicious. Beef stock is a good substitute for red wine as a direct measurement substitution in savory dishes. Beef stock has a hearty flavor that will make up for some of the flavor missing from the wine. For a hint of acid that you would get from the wine, try stirring in about a tablespoon of balsamic vinegar, which will add both flavor and acid. Red wine vinegar doesn't actually have any alcohol in it, but it does have the flavor of red wine, albeit more acidic. Try adding about 3/4 of the measurement for wine as red wine vinegar and 1/4 as beef stock or water, which will tame the acidity and bring it closer to that of wine. Balsamic vinegar is another good substitute, particularly aged vinegars because they have a complexity of flavors similar to red wine. It will make the dish slightly more acidic at a 1:1 substitution. However, you can dilute it at about 3:1 with balsamic and either beef stock or water to tone down some of the acidity and come closer to the favors wine will bring. Pomegranate juice is a good substitute although it is a bit sweeter. If it is a sweet recipe, use a 1:1 substitution. If it is a savory recipe, dilute with beef stock at a 3:1 ratio and add a tablespoon of balsamic vinegar for a hint of acidity and complexity. This will come close to mimicking wine in the recipe. Make sure the pomegranate juice has no added sugar. Red grape juice will do about the same thing pomegranate juice does. Use the instructions above for red grape juice. Make sure you buy grape juice with no added sugar. While wine certainly can bring flavor to dishes, there are plenty of ways to mimic those flavors without the alcohol. Along with the substitutes above, you can also substitute non-alcoholic wine which will keep the flavor without the alcohol.